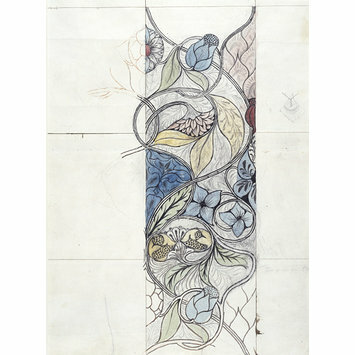 May (Mary) Morris (1862-1938) was the daughter of the designer William Morris (1834-1896). When she was a child her mother, Jane Morris, and her aunt Bessie Burden taught her to make large scale embroideries in crewel work (wool). 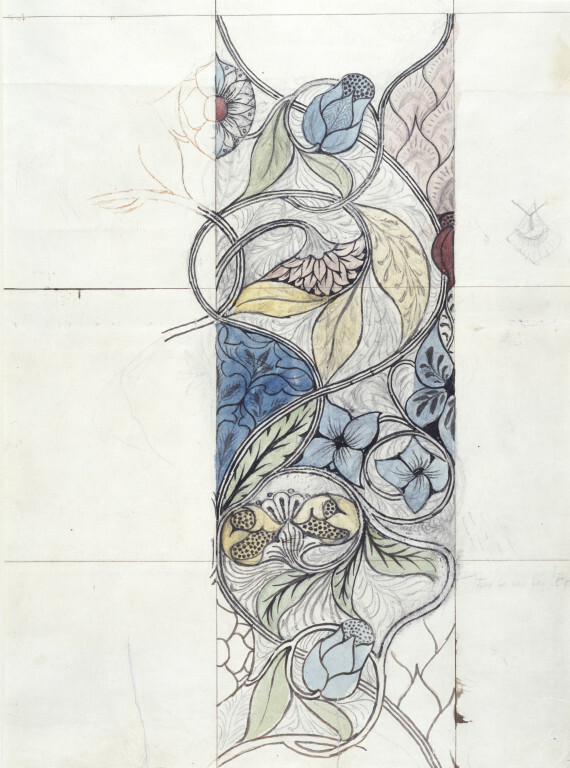 They were based on Morris’s medieval models. She was also encouraged to design for herself. In 1885 she took over the embroidery section of the firm. She took on Morris & Co. after her father’s death and continued to provide designs for them. These were for embroideries both large and small. Some were carried out by women at the Royal School of Needlework.